In 1995, Ahmad graduated from a doctoral program in mechanical engineering at in Manchester University. He then worked for Indonesian Aerospace as Head of Research and Technology. 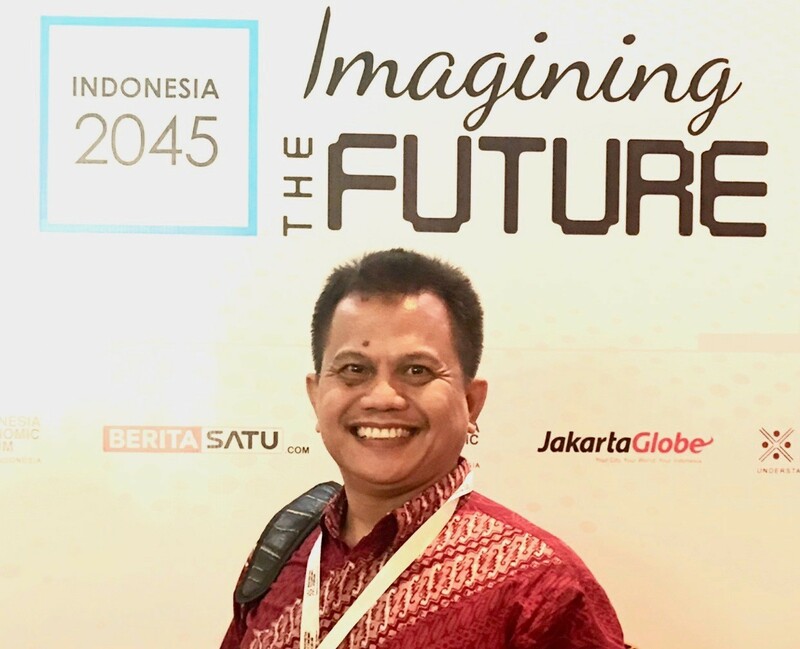 Believing that conventional schools in Indonesia weren’t fostering essential creativity skills in their students, he launched his own, alternative, school, TechnoNatura, in 2004. Using project-based learning, he teaches his students to value creativity and teamwork as they learn to become problem solvers and innovators. The school lets their passions lead them into science, engineering, art, social and entrepreneurship projects, and prepares them to learn and work in the 21st century. One of his favourite teaching tools is robotics, a potentially dominant technology of the future. In robotic design, programming and innovative exploitation, he finds it possible to blend all aspects of STEM as well as teamwork, creativity, entrepreneurial skills and social sciences. He makes sure that it promotes the development of systems thinking and problem solving in students’ minds. It is also a novel way to provide an opportunity for underprivileged students to play and learn with tools that they could otherwise not afford. To help students understand difficult concepts, Ahmad developed multimedia e-learning tools. His e-learning approach has won national ICT awards and been used by more than 3,000 schools all over Indonesia. To help teachers/mentors meet education standards while devising their lessons, Ahmad went on to develop a system he calls CyberSchool. CyberSchool is a cloud-based school management system that seamlessly and strategically connects a school’s vision to its strategic planning, then plots the strategic map and action plan to achieve the vision. It aligns lesson plans developed by teachers to standards, assessments, curriculum, instruction, and learning environments to produce the school’s intended graduate profile.